Islamist extremism and militancy have menaced Pakistani society throughout the post-2001 period, becoming especially prevalent since 2007. Pakistan is the site of numerous armed insurgencies of various scales. The myriad and sometimes disparate Islamist terrorist groups there, many of which displayed mutual animosity in the past, became more intermingled and mutually supportive after 2009. Some analysts warn that the Islamic State—operating in Iraq and Syria—may seek a presence in Pakistan. The Taliban Shura of Mullah Omar is believed to be in Quetta, as well as in Karachi (see Figure 1). The Haqqani Network of Afghan insurgents is based in the North Waziristan and Kurram agencies of the FATA. An alarming development in recent years is the increased incidence of militants making direct attacks on Pakistani security institutions. The Pakistani government claims to have lost more than 50,000 civilians and security personnel in the “war on terror” since 2001, and suffered a financial cost of more than $78 billion (roughly one-third of the nation’s current GDP). A devastating December 2014 terrorist attack on a military-run school in the city of Peshawar left 148 people dead, 132 of them children. Security forces killed the seven Tehreek-e-Taliban Pakistan (TTP) attackers, who, according to a TTP statement, undertook the assault in revenge for Pakistani military operations against their FATA bases. The human toll was the highest for any such incident in the country’s history; the incident fueled widespread outrage in Pakistan and internationally, and was called “Pakistan’s 9/11” by some. 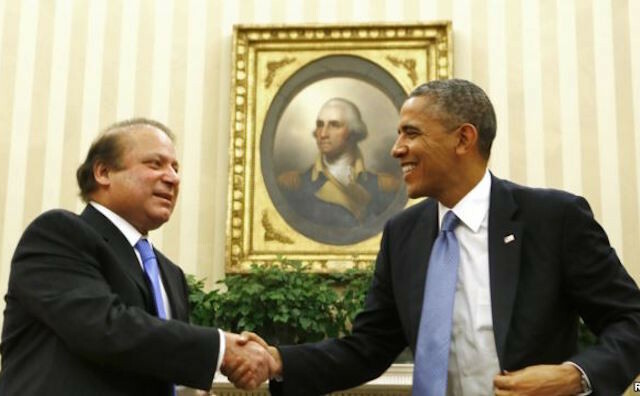 President Barack Obama condemned the act of “depravity” and reiterated the U.S. commitment to support Pakistan in its counter-terrorism efforts. U.S. officials anticipated a new crackdown on TTP militants, a development which has, to some extent, been seen. Yet many analysts are skeptical that any qualitative transformation of state policies will be seen, given the Pakistani military’s long history of distinguishing between “bad militants” (those that attack Pakistanis and the state apparatus) and “good militants” (those that the government has used as proxy forces against India and in Afghanistan). The Pakistani state has faced tremendous difficulties in addressing the growing incidence of domestic and transnational terrorism. Legal and judicial institutions and processes are hampered by a lack of organization, resources, and know-how. Law enforcement officials and prosecution witnesses face threats to their security. Some observers criticize Pakistan’s leaders for overemphasizing the role of military operations as a response to terrorism while providing insufficient attention and resources to the role of law enforcement. Pakistan’s police forces are regularly are assessed as being of low quality, corrupt, and with a poor public image, suffering from severe deficiencies in a number of areas, including equipment, technology, personnel, training, and intelligence capability. A National Counter-terrorism Authority (NACTA), established in 2009 as a coordinating body for national efforts, has been called ineffective, with extended and unsettled bureaucratic debate over its mandate and powers. An eagerly awaited, first-ever National Internal Security Policy (NISP) was unveiled in 2014, but the subsequent federal budget allocated no funds to support it. Later in 2014, Pakistan’s National Assembly passed a “Protection of Pakistan Bill” that expanded law enforcement powers. The U.S. government has lauded some of the legal steps taken by the Pakistani government to address terrorism, but notes that the judiciary moves slowly in processing related cases. Immediately following the December 2014 Peshawar school massacre, the Pakistani government lifted its moratorium on executing convicted terrorists and within days began hanging some of the roughly 3,000 such convicts on death row. Soon after, it established military courts for the purpose of expediting terrorism cases and providing greater security to prosecutors and witnesses. New York-based Human Rights Watch argued that the spate of executions represented “vengeful blood-lust,” and that the “overuse” of anti-terrorism laws by Pakistan’s army and judiciary already violated human rights norms and should not be further enabled. The Pakistan army has deployed at least 150,000 regular and paramilitary troops in western Pakistan in response to the surge in militancy there. All seven FATA “agencies” and adjacent regions have been affected by conflict, which has resulted in the internal displacement of more than three million people. U.S. government assessments of Pakistan’s military efforts generally have painted a discouraging picture of their efficacy. In most areas where Pakistani offensives have taken place, the “clearing” phase of operations has met with successes, but the “holding” phase has proven more difficult, and “building” is considered impossible so long as the civilian administration’s governance capacity is significantly limited. When the government of Prime Minister Nawaz Sharif took office in May 2013, it stated a determination to end the TTP insurgency through negotiations. In February 2014, formal talks were launched in an attempt to defuse the insurgency and halt terrorist attacks in Pakistani cities. This effort failed conclusively with a brazen June terrorist attack on Karachi’s international airport by TTP militants. One week later, the military formally launched “Operation Zarb-e-Azb” (Urdu for “sharp and cutting strike”), a “comprehensive operation” against “foreign and local terrorists” in the FATA’s North Waziristan agency. The military claims that the operation, which is still underway, has successfully cleared militants from 90% of North Waziristan while eliminating more than 1,200 “terrorists” at a cost of about $400 million to date. Media restrictions make such claims impossible to verify independently. Because the operation was publicly debated in the Pakistani media and among its politician’s months in advance, most of the militants who pose a threat to U.S. interests, such as the leaders of the Haqqani Network, reportedly were able to flee into Afghanistan before operations. It has been long and widely held by analysts that Afghan stability cannot be fully realized without the close engagement and cooperation of Pakistan, and that a key to stabilizing Afghanistan is to improve the longstanding animosity between Islamabad and Kabul. The U.S. government maintains—and most independent analysts agree—that, so long as Afghan Taliban forces enjoy “sanctuary” in Quetta and in the Federally Administered Tribal Areas (FATA) of western Pakistan, the Afghan insurgency will persist. As the United States winds down its military operations in Afghanistan, Washington consistently has named Islamabad as a crucial partner in ensuring Afghan stability and prosperity going forward. However, Pakistan’s security establishment, ever fearful of strategic encirclement by India, has, by many accounts, continued to view the Afghan Taliban as a relatively friendly and reliably anti-India element in Afghanistan, one that can help to provide Pakistan with “strategic depth” (India’s presence in Afghanistan exacerbates Pakistani fears of encirclement). Pakistan’s alleged material support of the Afghan Taliban—a group that Islamabad actively supported until September 2001—is a crucial concern for leaders in both Afghanistan and India. The Pentagon’s most recent biannual report to Congress on progress toward security and stability in Afghanistan (for the six-month period ending September 30, 2014) noted some positive trends, including “gains against the Tehrik-e-Taliban Pakistan and foreign fighters in the FATA and Khyber Pakhtunkhwa during a major military operation.” Yet the report goes on to express U.S. frustration and dissatisfaction starkly. Although Pentagon reporting has for many years included a contention that Pakistan “allows” Afghanistan-focused insurgents “sanctuary and support,” the October report was the first to flatly state what many U.S. officials had long contended in less formal fora. Cross-Border Militancy:For more than a decade U.S. and NATO commanders have complained that Afghan insurgents find safe haven on the Pakistani side of the Durand Line, largely undisturbed (if not aided) by Pakistani security forces. In recent years, a “reverse infiltration” dynamic has emerged as Pakistan-based militants find refuge in eastern Afghanistan. In a new twist viewed as deeply ironic by many American observers, Pakistani officials now chide Afghan and allied forces for failing to intercept militants fleeing from Pakistan’s operations in the FATA. Indeed, this report is based upon deep introspection and throws some valid questions which need to be probed by the current session of U.S. Congress. During Prime Minister Nawaz Sharif's visit to Oval Office at Washington D.C. in the month of October (2015)/ The two leaders underlined that improvement in Pakistan- India bilateral relations would "greatly enhance" prospects for lasting peace, stability, and prosperity in the region. Responding to a question, Eric Schultz, the White House Deputy Press Secretary, said, "We talked earlier about economic linkages and a broader view of the US-Pakistan relationship beyond just counter-terrorism, and I think it is discussions like the one the President had on Friday that helps unlock opportunities for millions of people and leads to a more prosperous region which no doubt will go a long way towards counter-terrorism efforts." It's quite clear that Pakistan's relationship with India is critical to Pakistan's future, and the normalization of relations between the two countries is vital both to them and to the stability in the South Asian region. The only question is about the seriousness of current Pakistani administration towards such normalization, which only time can tell.